STUDIO to end on Foxtel in March, shift to SBS platforms. SBS-owned Arts channel STUDIO will exit from Foxtel in March and continue arts programming via SBS ONE and SBS on Demand. It will be replaced with FOXTEL ARTS HD, will be produced and assembled by the Foxtel Networks management group. STUDIO replaced the Ovation channel, originally as STVDIO, when Ovation’s contract with Foxtel was not renewed in 2009. “Since 2010, STUDIO has been committed to presenting Australians with cutting-edge arts and entertainment from around the globe, while fostering and supporting the Australian arts community. In a statement Chris Keely, General Manager SBS Subscription TV said, “Channel agreements regularly come up for renegotiation and STUDIO’s carriage arrangement with Foxtel will conclude in March 2015. 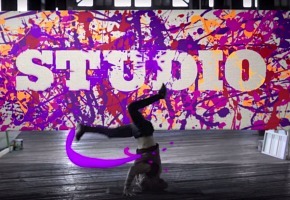 STUDIO has been the home of arts specials on music, theatre, film, dance and cabaret, partnering with Arts organisations and launching its CREATE STUDIO and STUDIO KICKSTART initiatives. FOXTEL ARTS HD will showcase artistic forms including opera and ballet productions, theatre, dance, cabaret, classical and contemporary performance as well as specials and series from the world of cinema, literature, music, visual art, artists and the history of ideas and techniques from which art is created. SBS today announced its other subscription channel World Movies would partner with upcoming streaming service, Stan, launching in early 2015. Damnation! Studio is an excellent station, showing a wide range of programs from rock concerts to foreign (European) mini series and series. Shame. I thoroughly enjoyed seeing Les Revenants, Mammon and The Legacy a year before they aired on FTA as well as catching up Borgen Season 1 that I’d missed on SBS. Their mix of concerts from a wide range of artists was also a nice change from Ovation’s offerings. @Josh surely Studio would have made money for SBS, or at the very least broken even, otherwise they wouldn’t have done it, would they? Studio seems to be showing a lot of musical documentaries and concerts recently. Hoping they will continue on SBS in HD. Foxtel has been forcing independent channels of its platform and replacing them with Foxtel channels, or channels by the BBC, Universal etc. They want monopoly on Pay TV with vertical integration to control prices, and no middle men or competition. It Black Mirror and Les Revenants end up on SBS that is a good thing. So. The Andre Rieu channel was replaced by The Andre Rieu channel which is going to be replaced by, please, not another Andre Rieu channel It would be nice if we had a channel that actually showed artistic stuff. That is truly disappointing given it is one of the handful of STV channels which are actually 100% Australian owned and operated. I wonder if this is backlash for SBS partnering with Stan, a direct competitor to Foxtel Play? But on the upside, that has to reduce SBS’ expenditure and thus lessen the blow of the Government’s budget cuts.